ProRail has developed a round balsutrade post that is both unique in design and function. Round stainless steel posts are still available in mirror polish or satin finish, 3.0mm or 1.6mm tube thickness and made from the same high quality 316 grade stainless steel that you are familiar with from our custom post range, plus a few new extras. Stainless steel posts for balustrades come pre-drilled to your specifications with a fully welded ProRail heavy duty base plate, seamlessly welded saddle base, and attached top saddle for a stylish and easy to install balustrade post. The heavy duty base plate features multiple fixing holes, position indicator lines and an easy post leveling system using plastic packers and grub screws. 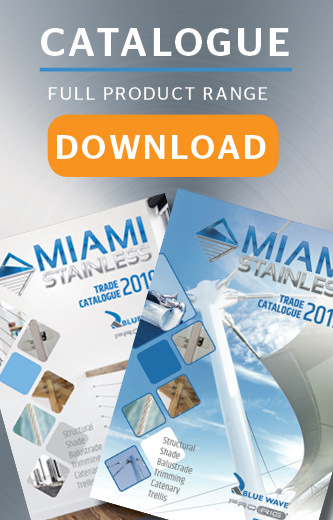 New to Miami Stainless is the P6230R and P6237R ProRail posts with weldable reducer top fittings. These fittings can be welded directly to the handrail for a streamline look. In-house custom stainless steel post manufacture is available with welded Econ base plates, Econ cover plates and glue in top fitting. 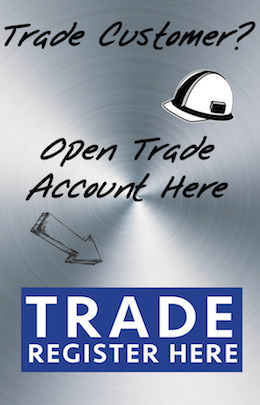 Please click here to see our range. If you are unsure of the current National Construction Code (NCC) regulations regarding balustrade, get up to date information here. Post Round 2" x 1.6mm 37 Degree Angled Weldable to Round Handrail Mirror Polish ProRail AISI 316 ..
Post Round 2" x 1.6mm 37 Degree Angled Weldable to Round Handrail Satin Finish ProRail AISI 316 ..
Post Round 2" x 1.6mm Corner suits Flat Handrail Mirror Polish ProRail AISI 316 ProRail has de..
Post Round 2" x 1.6mm Corner suits Flat Handrail Satin Finish ProRail AISI 316 ProRail has dev..
Post Round 2" x 1.6mm Corner suits Round Handrail Mirror Polish ProRail AISI 316 ProRail has dev..
Post Round 2" x 1.6mm Corner suits Round Handrail Satin Finish ProRail AISI 316 ProRail has deve..
Post Round 2" x 1.6mm End suits Flat Handrail Matte Satin ProRail AISI 316 ProRail has de..
Post Round 2" x 1.6mm End suits Flat Handrail Mirror Polish ProRail AISI 316 ProRail has develop..
Post Round 2" x 1.6mm End suits Round Handrail Mirror Polish ProRail AISI 316 ProRail has deve..
Post Round 2" x 1.6mm End suits Round Handrail Satin Finish ProRail AISI 316 ProRail has devel..
Post Round 2" x 1.6mm Intermediate Angled suits Flat Handrail Mirror Polish ProRail AISI 316 Pro..
Post Round 2" x 1.6mm Intermediate Angled suits Flat Handrail Satin Finish ProRail AISI 316 ProR..
Post Round 2" x 1.6mm Intermediate Angled suits Round Handrail Mirror Polish ProRail AISI 316 ..
Post Round 2" x 1.6mm Intermediate Angled suits Round Handrail Satin Finish ProRail AISI 316 P..
Post Round 2" x 1.6mm Intermediate Angled Weldable to Round Handrail Mirror Polish ProRail AISI 316 ..
Post Round 2" x 1.6mm Intermediate Angled Weldable to Round Handrail Satin Finish ProRail AISI 316 ..
Post Round 2" x 1.6mm Intermediate suits Flat Handrail Mirror Polish ProRail AISI 316 ProRail ha..
Post Round 2" x 1.6mm Intermediate suits Flat Handrail Satin Finish ProRail AISI 316 ProRail h..
Post Round 2" x 1.6mm Intermediate suits Round Handrail Matte Satin ProRail AISI 316 ProRail h..
Post Round 2" x 1.6mm Intermediate suits Round Handrail Mirror Polish ProRail AISI 316 ProRail..